Working on Storyteller this week has been a bit of a challenge, as Buenos Aires is burdened by a high-humidity heat of 40 C (104 F). I always try to not rely on air conditioners but you could really feel the difference in this weather. Mosquitoes are adding extra spice on heat insomnia too. The Storyboard in the screenshot above is the "menu" of the game, where you can see your progress, pick the next story and improve old ones (more on this on future updates). 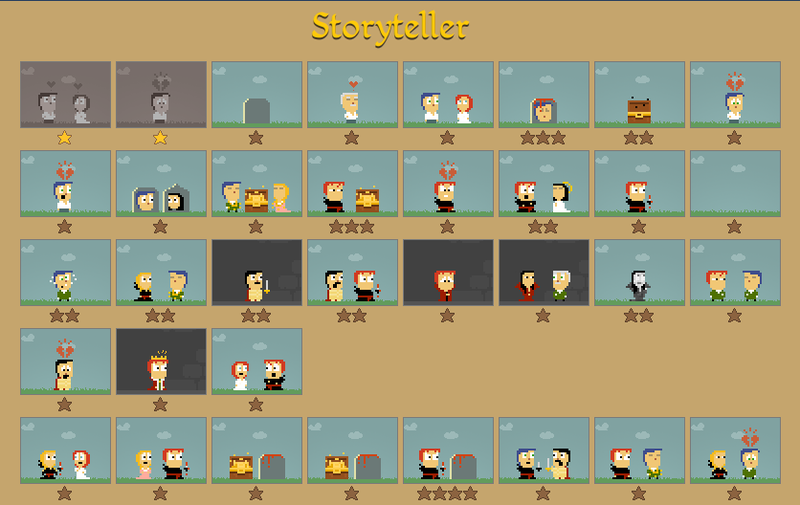 You get stars by solving stories and figuring out special versions. These stars are actually needed to unlock the more complicated stories. I am still not sure I like this mechanism, but it allows me to make the game non-linear. Great additions. At first when you listed 'stars', I thought you meant you added the concept of fame and celebrities, which would be interesting as well. Simple and secure way to get get free followers instagram, these followers areal and active online. moreover these hacks for instagram followers are real and active online. You get stars by illuminating stories and making sense of uncommon adaptations. These stars are really expected to open the more muddled stories. I am still not certain I like this system, but rather it permits me to make the diversion non-straight.